R.Caulfield, Nuneaton: "Nice friendly tradesman, repaired both our faculty doors in one visit, replacing the broken parts in our front door and adjusting the rears." 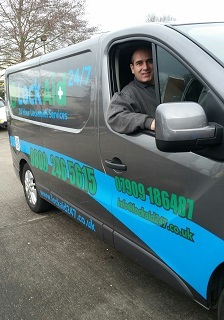 R.Beech, Nuneaton: "Adrian arrived on time equipped with all the necessary parts to fix our door there and then. Came highly recommended from our neighbour and we would say the same." C.Barton, Nuneaton: "Adrian made easy work of the door I'd attempted to repair the previous day. If you're looking to get a upvc door repaired I can vouch for Adrians knowledge and experience." uPVC doors are prone to various faults from jamming locks, poor fitting, wear and tear which left unrepaired will eventually seize completely. 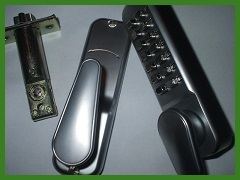 Whatever the problem with your door, give Adrian a call for a free quotation, which can usually be given over the phone after a quick chat. 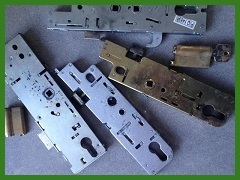 We also stock locks for commercial lock changes and repairs for shops and businesses in Nuneaton. 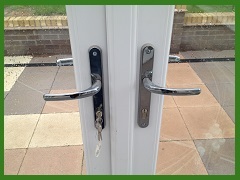 Anti snap locks are now an essential upgrade to older uPVC doors which are vulnerable to a widely published destructive attack that can see your door unlocked in under a minute. 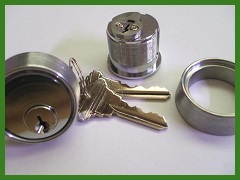 We supply and install a range of products to protect against such attacks from high security handles to high security lock cylinders capable of withstanding a prolonged destructive attack. Again if this is something you'd like to discuss with Adrian, just give him a call for a no obligation chat, he's always happy to advise.